As we all know, in paper industry, using recycled waste paper as raw material is quite common and beneficial. It can not only reduce energy consumption, but also save costs of paper manufacturer. But do you ever heard that the cigarette butts can also be the raw material of papermaking? In Brazil, many green cigarette butts boxes are hung by the road. People can put their cigarette butts in the boxes, and them the butts was sent to factory and to be disposed for papermaking. This idea came from a student of an academy of arts, and then he and a professor found that the organic principle of cigarette butts is very similar with paper pulp. Therefore, after certain handling, it can be used as paper pulp. The first step is to remove the hazardous substance. 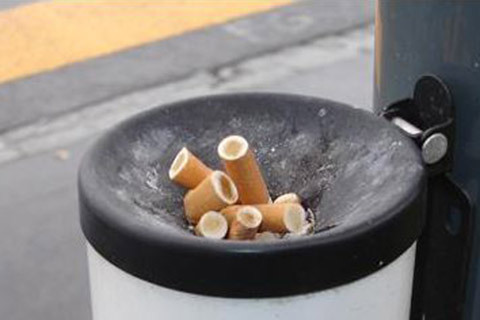 Put cigarette butts in a vessel, clean them and add water and alkaline matter. After that warm them for several hours. After heating, stir, thickening and airing, the hazardous substance has been removed. Cigarette butts become paper raw material. Although the paper made by cigarette butts was not so good as industry production paper in color and hand fell, it has been made for greeting card, invitation card, paper box, etc. For papermaking, the most important thing is fiber, no matter wood pulp, bamboo pulp or waste paper pulp. Although it is not so good as industry production paper so far, it gives us a new direction and thought. As people always say: technology change life. Everything is possible! Leizhan is a professional manufacturer of pulp and paper equipment. If you want to learn know more of paper and pulp knowledge, welcome to look other passage of this website. You can also contact us if you have demand of paper and pulp equipment.